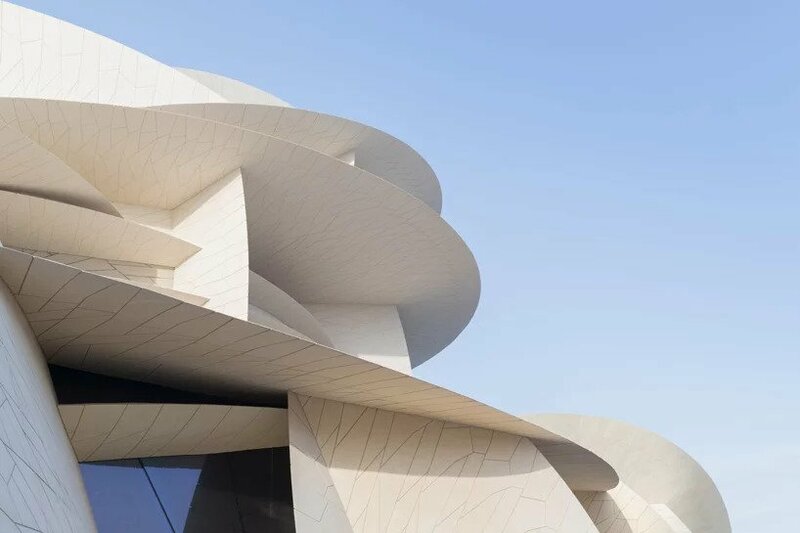 housed within a new architectural masterpiece by Jean Nouvel. 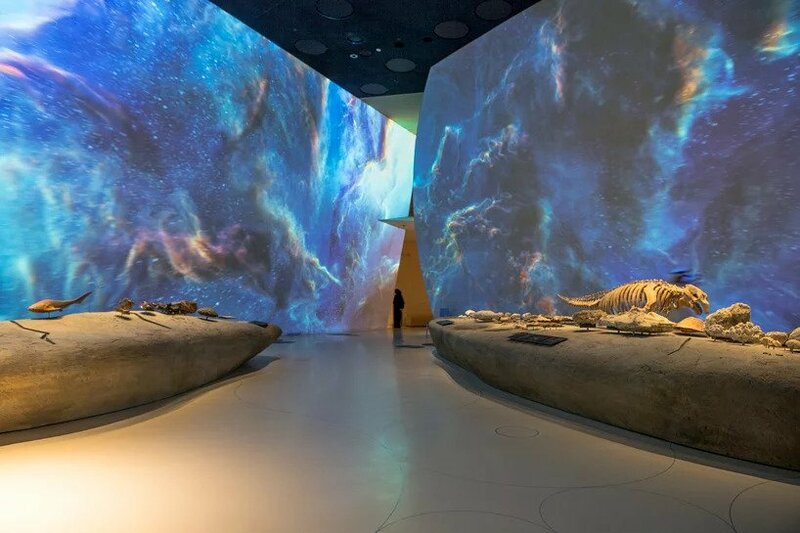 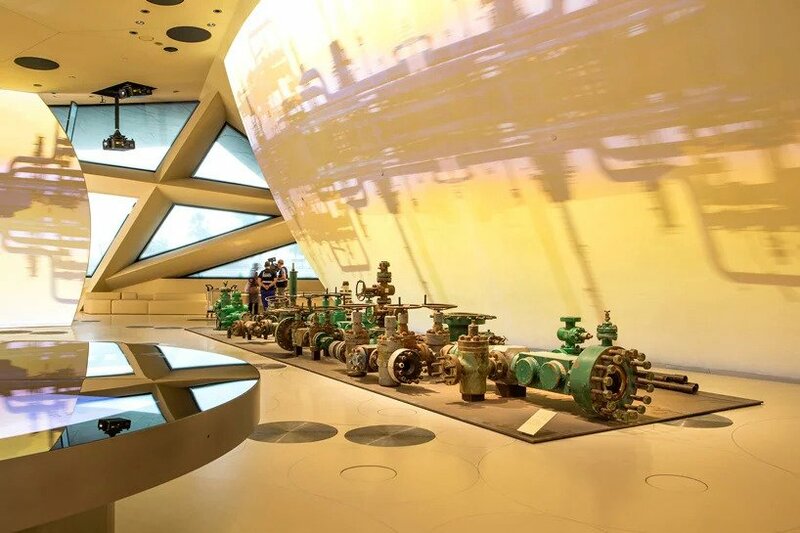 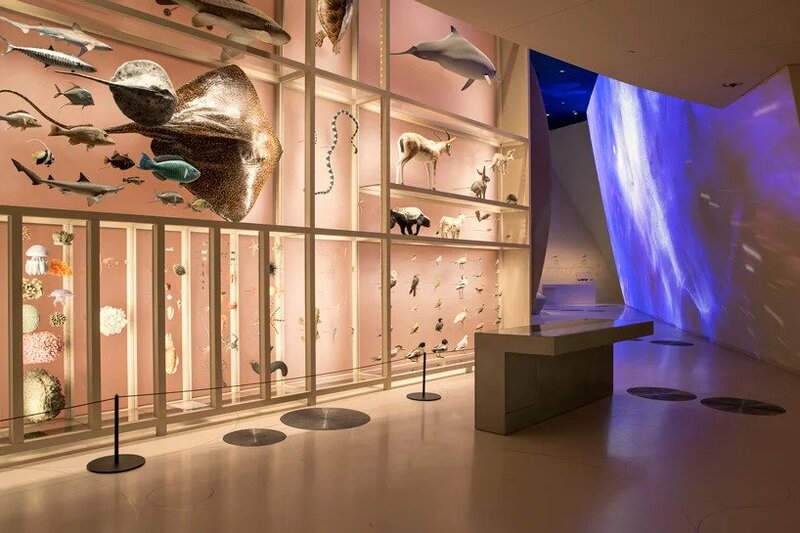 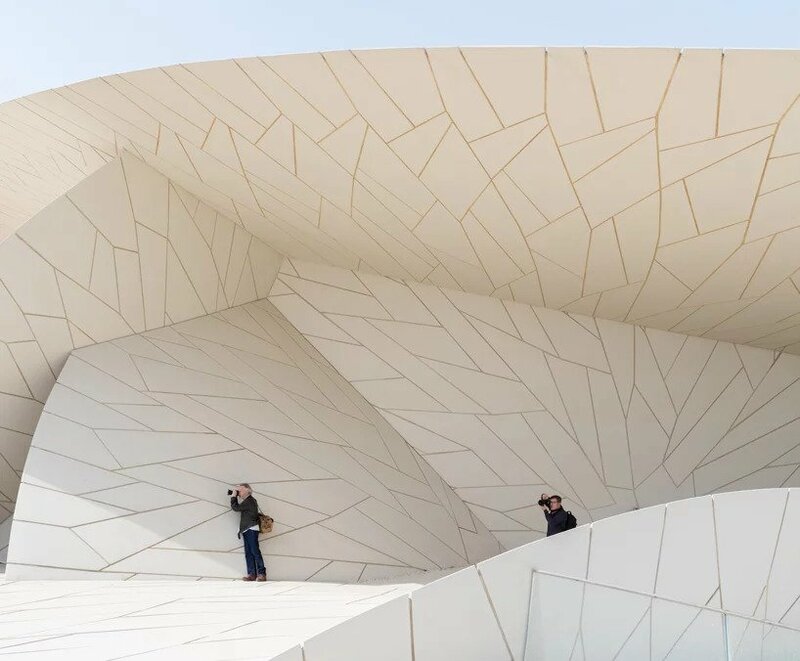 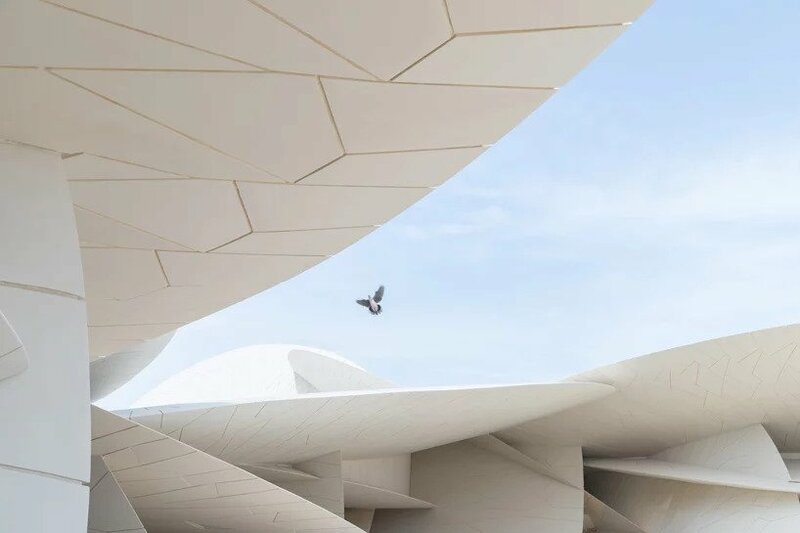 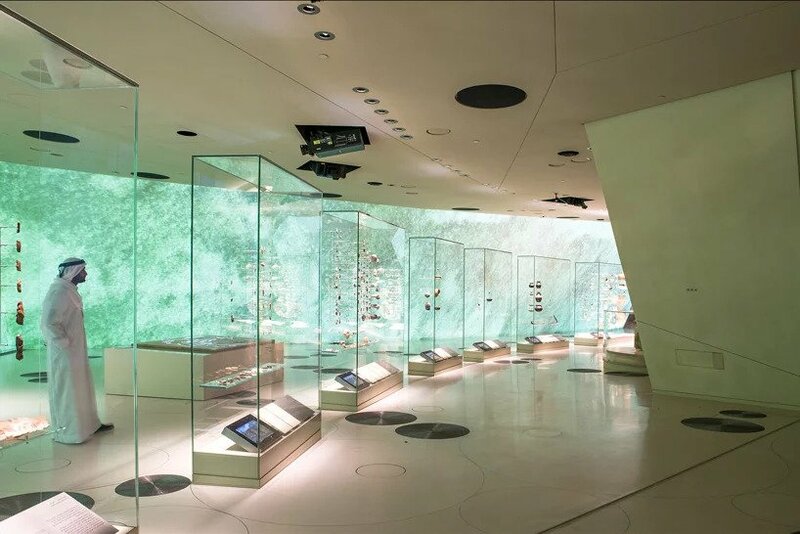 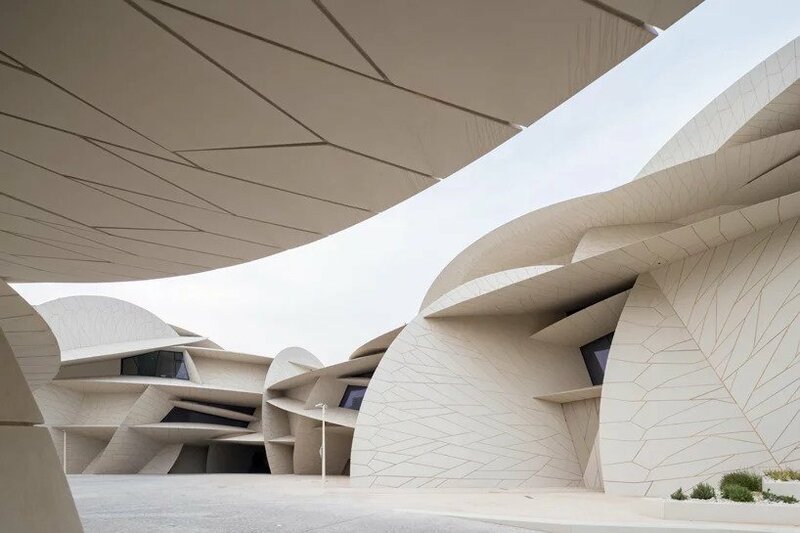 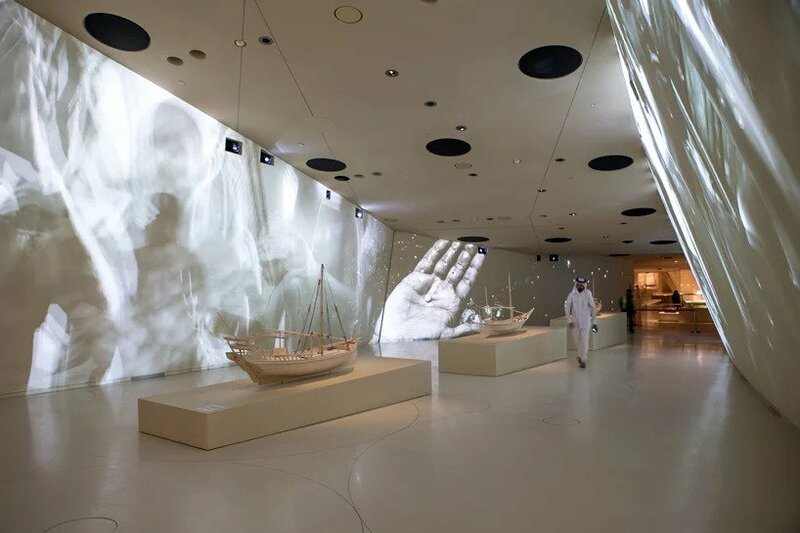 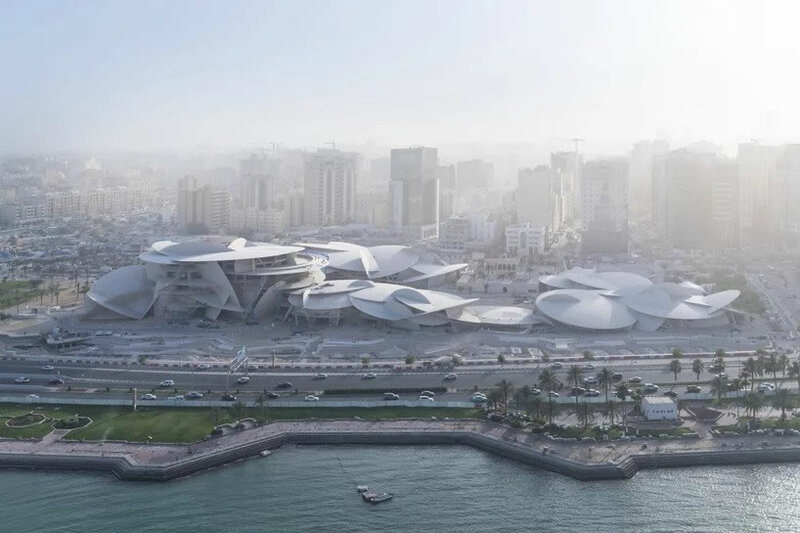 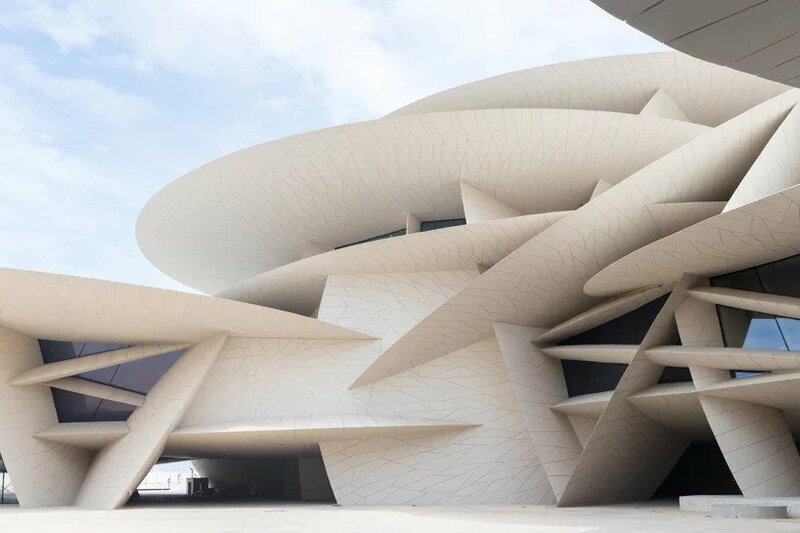 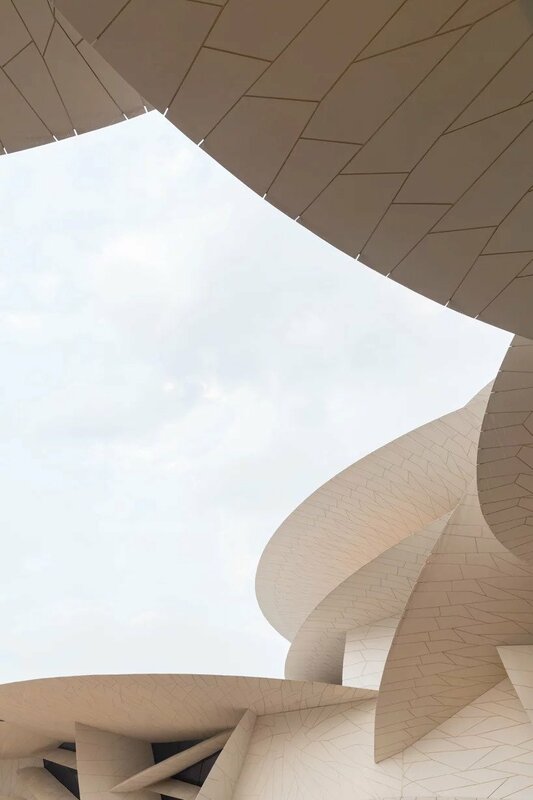 In designing the sculptural museum, jean nouvel took influence from a natural formation known as the desert rose.this flower-like condition occurs naturally in the gulf region when minerals crystallize in the crumbling soil just below the surface of a shallow salt basin. 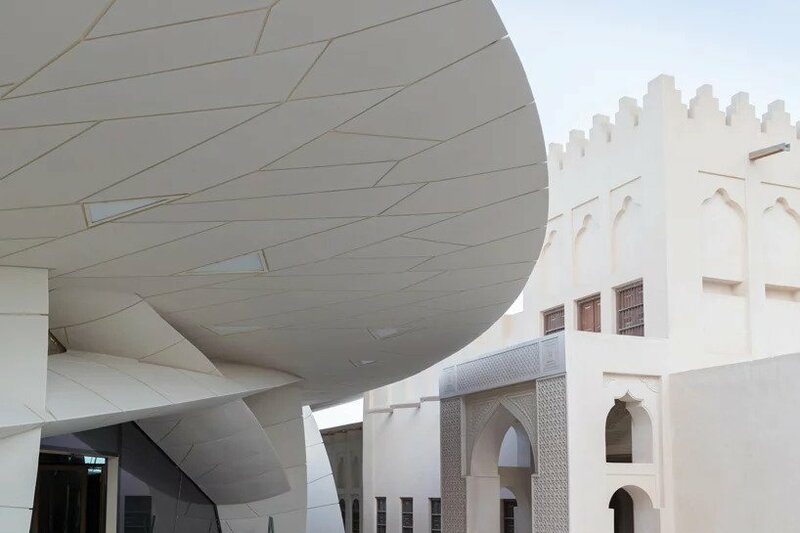 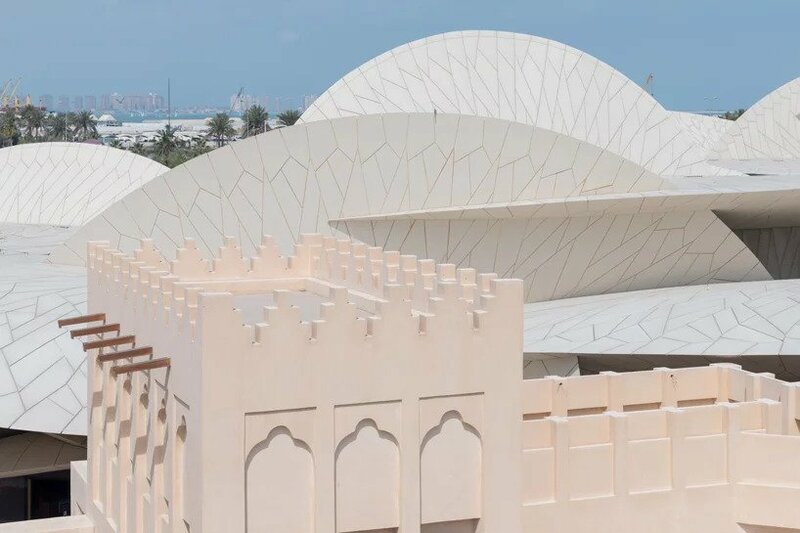 as ‘the first architectural structure that nature itself creates,’ the desert rose became the model for the museum’s complex structure of large intersecting disks of different diameters and curvatures — some vertical and offering structural support, others horizontal and resting upon other disks — which surround the historic palace like a necklace.